After humbly referring to the show as “the perfect combination of razor-sharp wit and relatable family dynamics” in a press release, Fox has announced that it has picked up The Grinder for a full season. Critical buzz for the show has been good—or at least better than Fox’s Grandfathered—and the press release says that it has boosted Fox’s average ratings by 70% over where they were last year at this time. 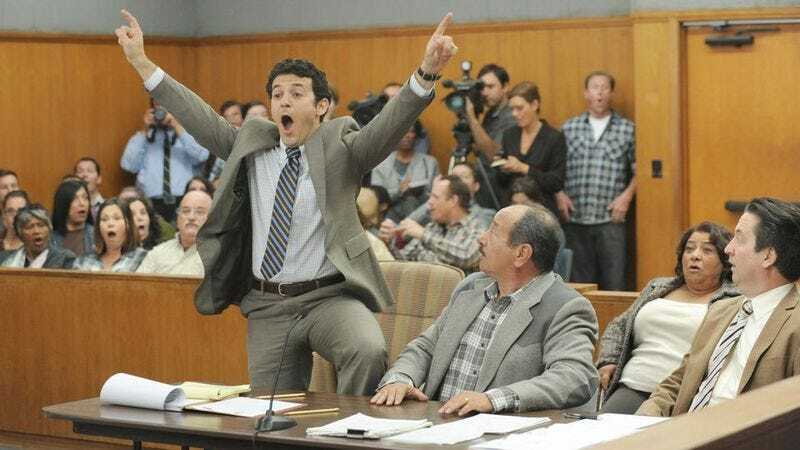 The Grinder stars Fred Savage as a nervous, by-the-book lawyer who starts working with his flashy, confident brother (Rob Lowe) who used to play a lawyer on TV. Fox’s press release makes a big deal about the next episode, which is about Lowe’s character reuniting with an old girlfriend played by Christina Applegate, and it mentions multiple times that the episode will air on November 3. However, buried at the bottom, it also notes that the episode will be preempted by the World Series if it goes to six games, which makes it sound like the network cares more about millions of baseball viewers than it does The Grinder. That’s very rude, Fox.